In late 2007, BtoB Magazine published results from its survey, 2008 Marketing Priorities and Plans. 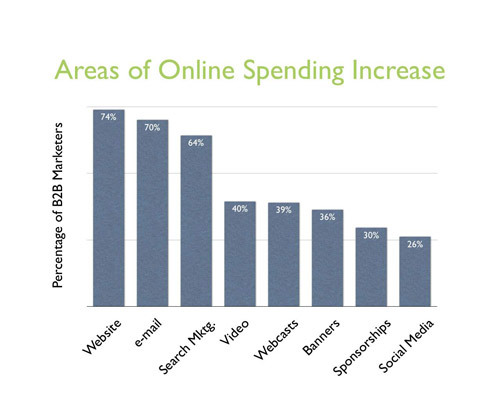 Despite growing uncertainties regarding the economy, two-thirds of B2B marketers surveyed indicated they have increased marketing budgets for 2008. What’s interesting, however, are the areas of increase. Eighty percent of those surveyed indicated increases in online marketing. 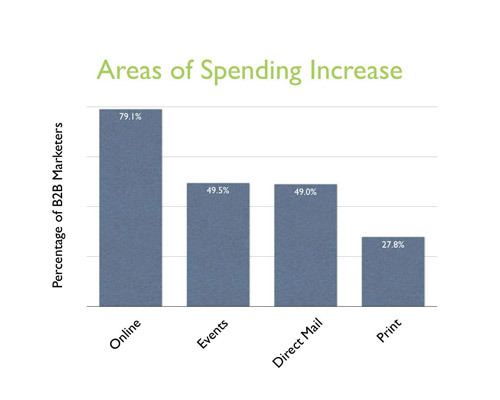 The area with the fewest marketers increasing their budgets…print. A closer look inside the exact type of increased online investments showed websites, email marketing, and search marketing as the greatest recipients of increased marketing investment. At first glance, one might see these as separate areas of investment, but really two of them feed the other. In isolation, it would be strange to perhaps see such a surge in website investment. Many traditional B2B execs might be skeptical, fearing another dot-com movement. However, the times have greatly changed. At the time of the dot-com bust, websites themselves were the focus. Most people, especially B2B marketers, didn’t understand the value of impact of search marketing, nor was search marketing as sophisticated and impactful as it is now. The same with email marketing. It really didn’t exist then like it does today. 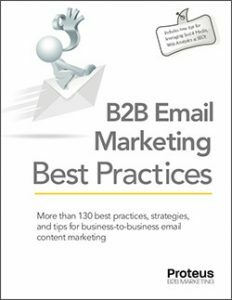 Both search marketing and email marketing feed website investments. Both are designed to drive traffic to websites. And if the place where searchers and email recipients land isn’t compelling and differentiating, the investments in email and search marketing are a waste. The trends make sense. 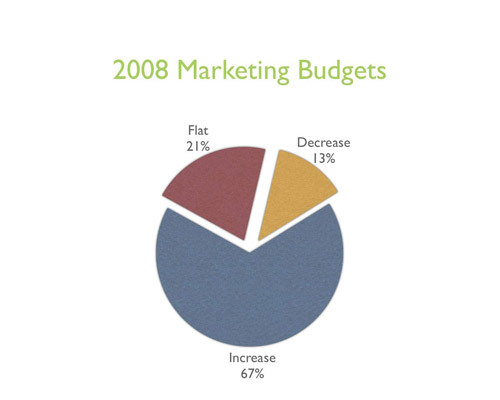 How does the allocation of your marketing budget stack up against the trends?